Are your kiddies looking for a Pirate Adventure? 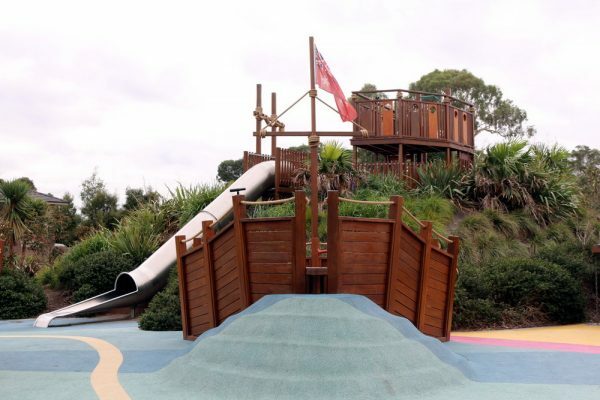 Well if they are look no further than the Pirate Park, located in Sommerfield Drive North in Keysborough, which is about a 40 minute drive south east of Melbourne City. 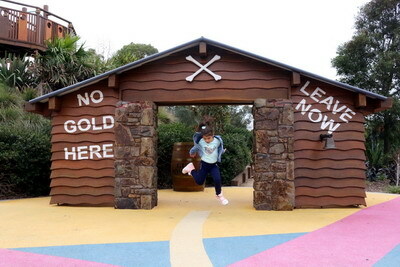 The park is completely Pirate themed and if your kids are looking for a treasure, then they have come to the right place. There is a lookout at the top which you can see over the whole park. 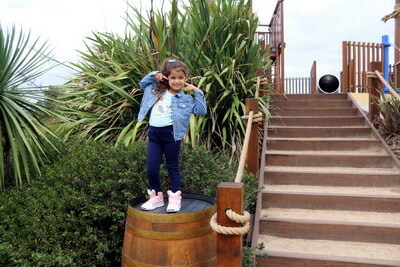 There are great hiding spots, rum barrels, a little plank to walk on, ships, giant slide, rope climbs and a bell for the parents to ring when it’s time to go home. 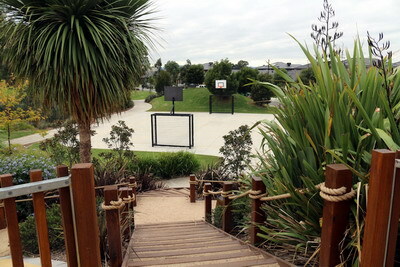 There is a great full size basketball court at the back of the playground which converts into a soccer field (with nets) as well. There is also a bbq area with a few undercover picnic tables, so if you’re looking to set up a birthday event or party celebration, make sure you get here very early, like at the crack of dawn. There is only street parking available and the toilets were remarkably clean (but still bring your own toilet paper/wipes). This park is one of the best I have seen in a while and we will be back here again very soon. 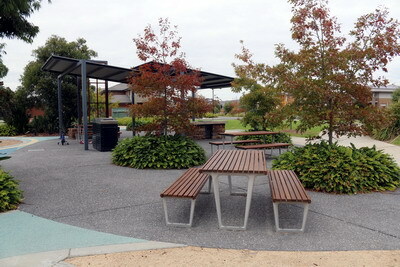 I would imagine that this park would be very crowded in summer, so try and come of peak times to get the best out of it. Now over to you my little pirates….. This is so awesome. My boys would love this. Thanks for the tip Christine. 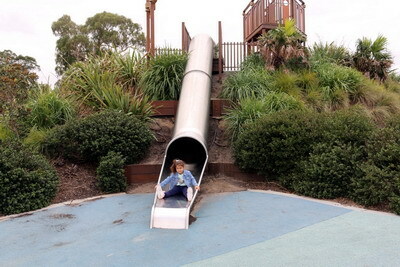 My boys would also love this Pirate Park. Looks fantastic. Oh WOW. This is very cool.